We've re-imagined the traditional M-65 design in a contemporary fitted cut, crafted from our legendary 6.14-oz. 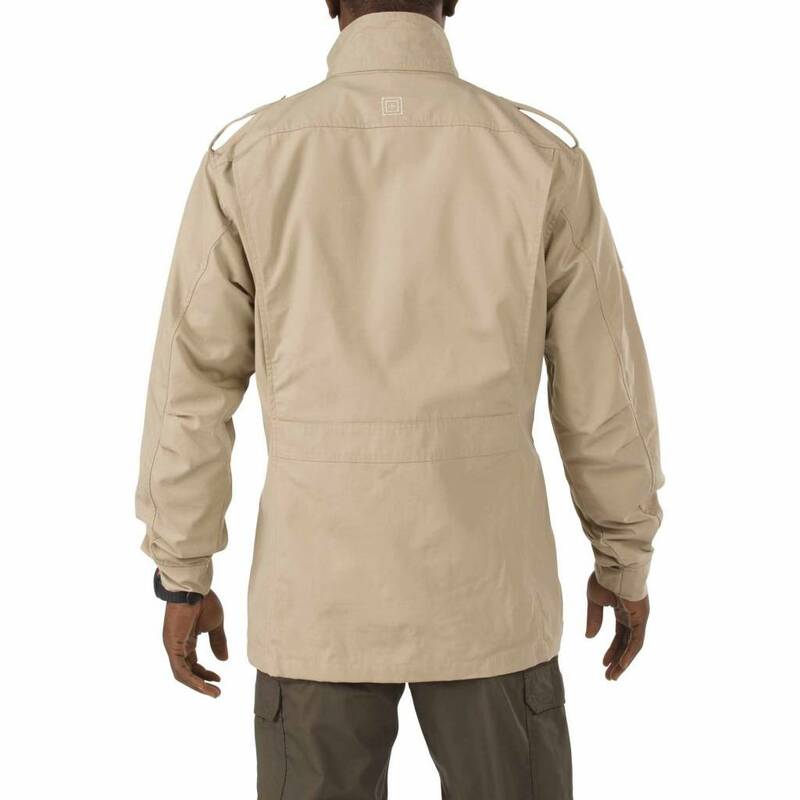 (208g/m²) 65% polyester / 35% cotton TACLITE® ripstop fabric. 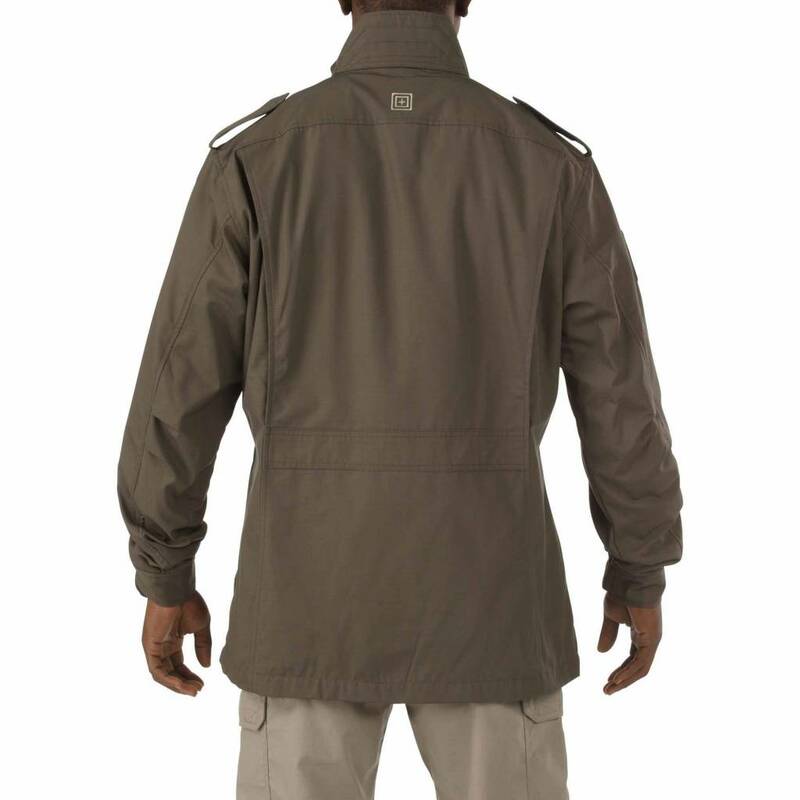 Originally released in 1965, the M-65 field jacket has proven itself on battlefields around the world. 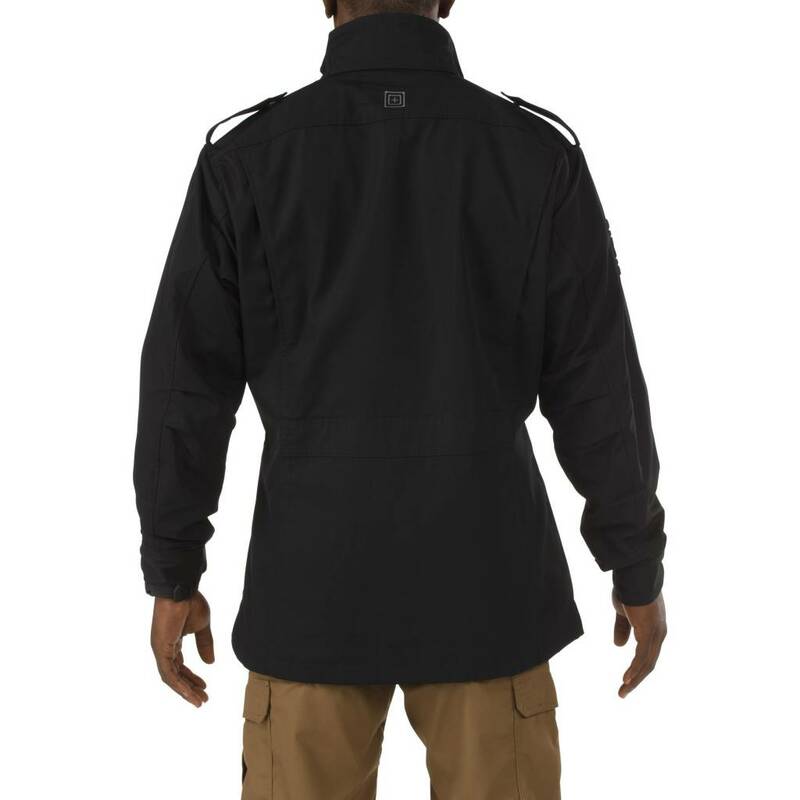 we've re-imagined the traditional M-65 design in a contemporary fitted cut, crafted from our legendary 6.14-oz. 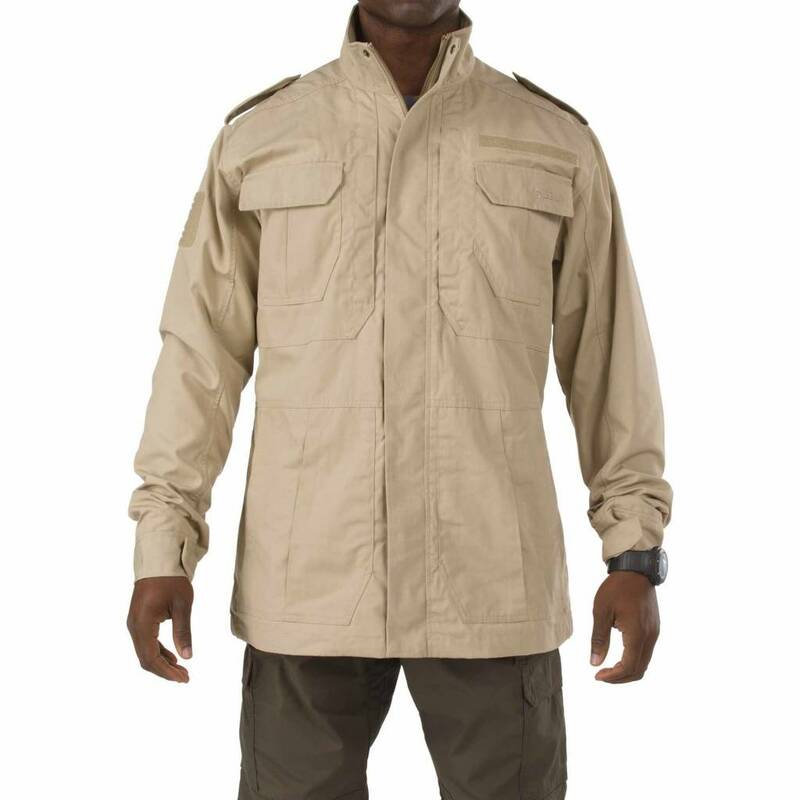 (208g/m²) 65% polyester / 35% cotton TACLITE® ripstop fabric. 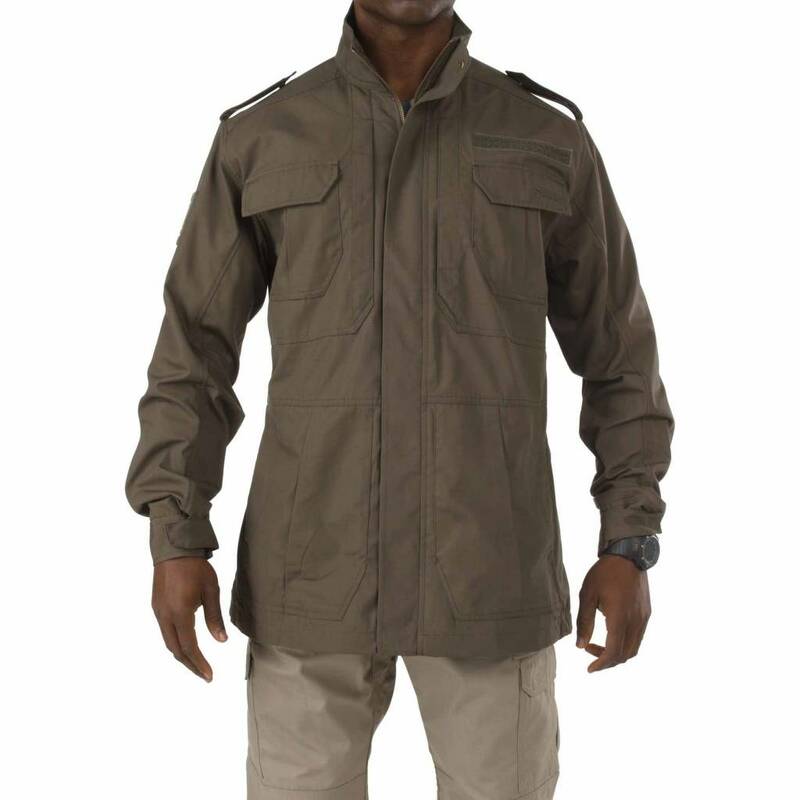 Tougher and more comfortable than ever, the 5.11® M-65 features RAPIDraw™ through-and-through pockets for quick and complete interior access, dual Hidden Document Pockets at the chest for secure storage, and a Teflon® fabric treatment for enhanced stain, soil, and fade resistance. 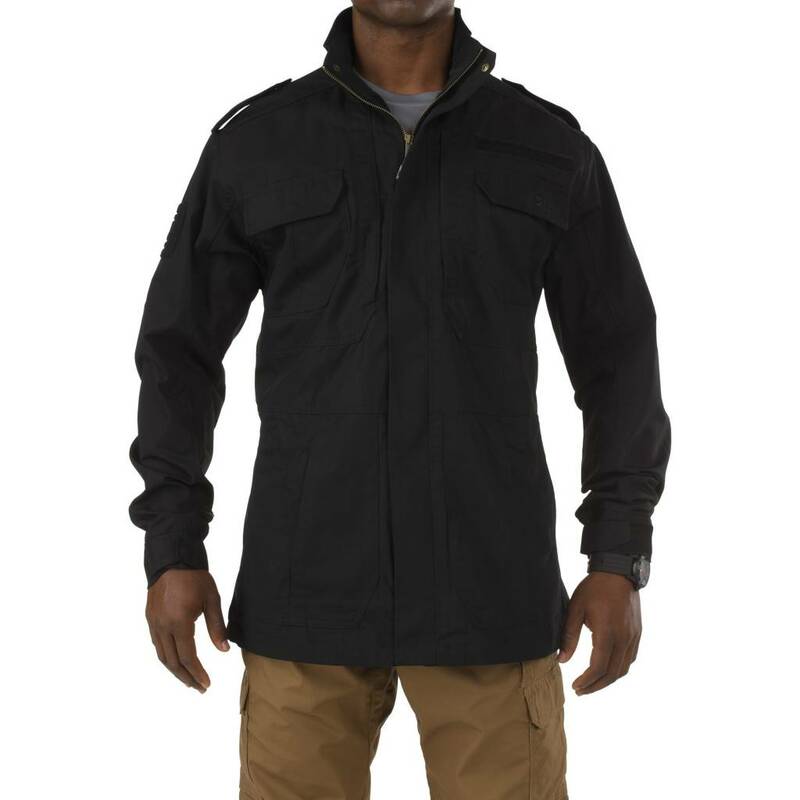 The M-65 has a slim inner lining and no insulation, making it easy to layer for comfortable wear in a broad range of climates.